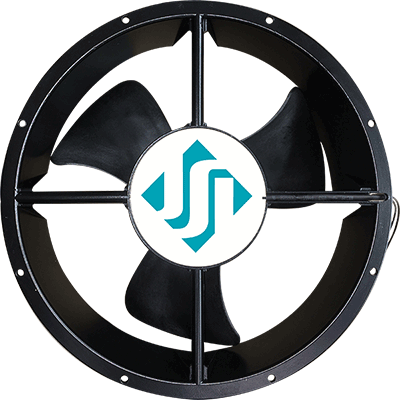 A wide range of system expansion and support parts are stocked. 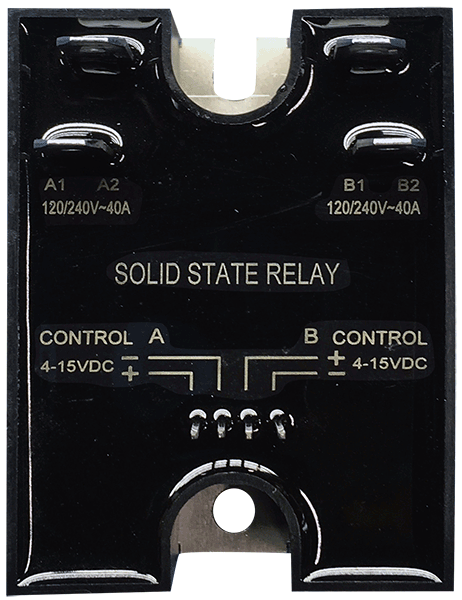 D40A SSR Dual 40 Amp SSR. 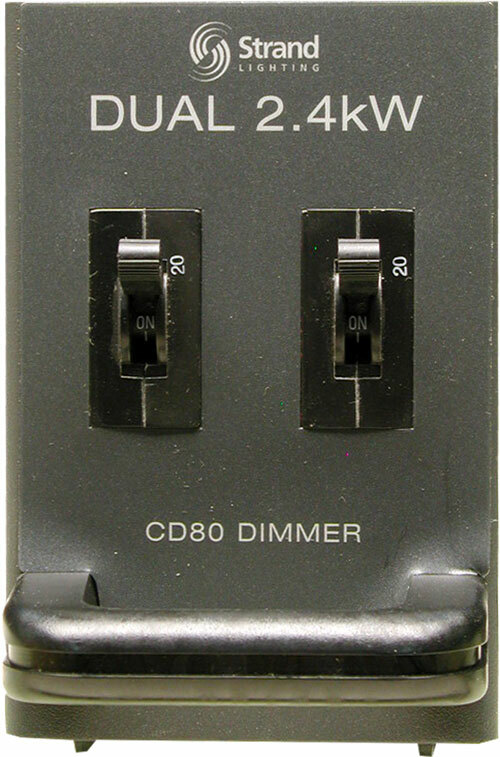 Most common replacement for 20 Amp CD80® or similar dimmers. Supplied with pre-installed thermal pad. 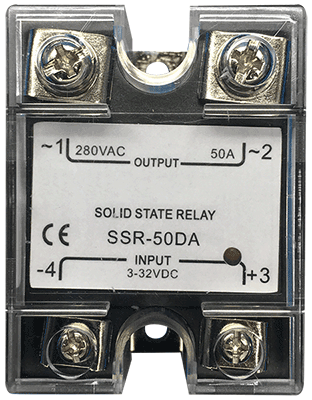 Q20A SSR Quad 20 Amp SSR. Replacement for ICON 2410 & ICON 2413. S50A SSR Single 50 Amp SSR. 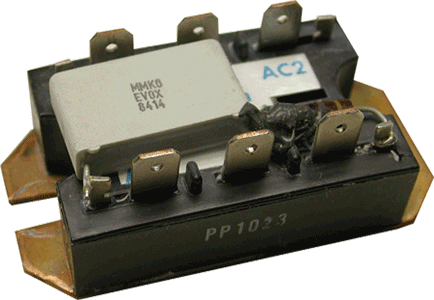 Replacement for older 20 Amp CD80®, Environ or similar dimmers. S125A SSR Single 125 Amp SSR. 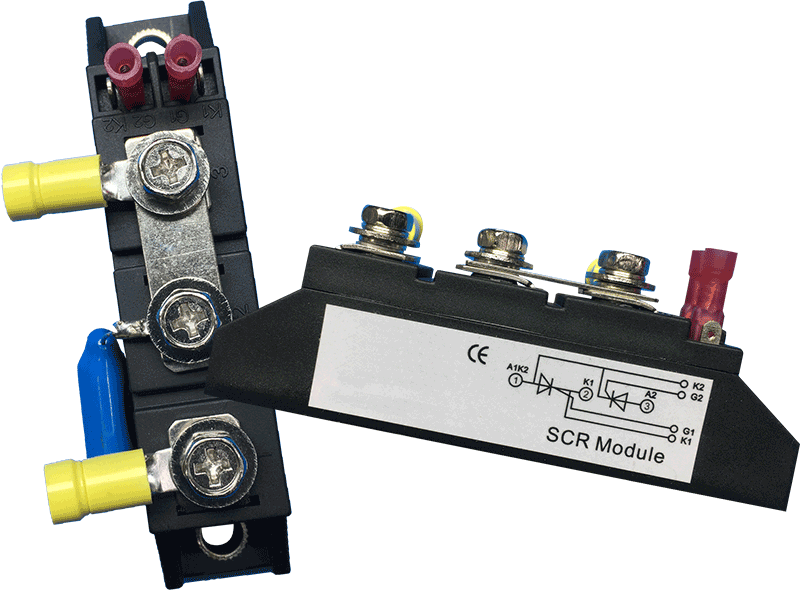 EC GEN1 PACK Replacement SCR packs for early generation EC Quad and Alpha Series dimmers. 1/4" spade "quick connect" terminals. 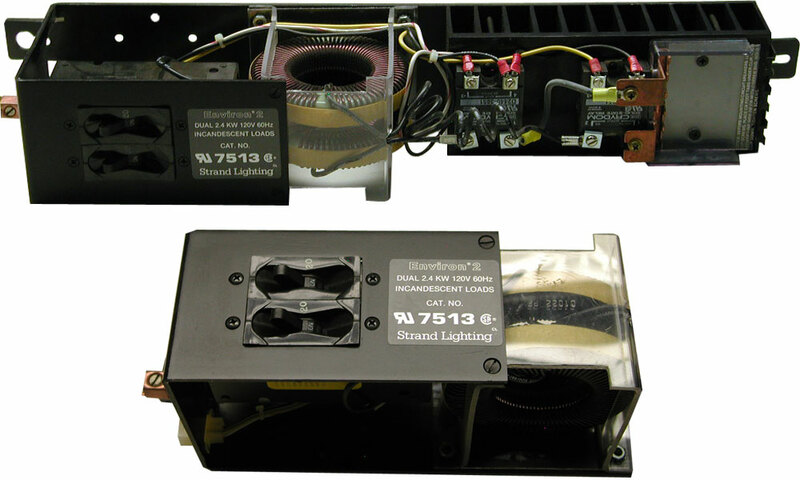 EC GEN3 PACK Heavy duty 50 Amp SCR packs for late model EC Quad and Alpha Series dimmers. Replaces PP4236 and PH5006. Includes snubber and connectors. 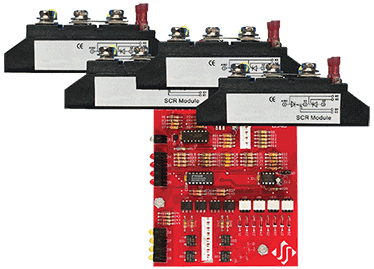 90A SCR Universal 90 Amp SCR pack. Includes snubber. QD-MU Kit EC Quad module upgrade kit. Includes four GEN3 SCR's, one FC-330 Quad firing card & all hardware. 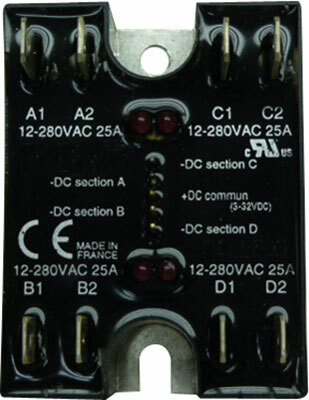 QD-RPC Rear power connector for EC Quad dimmers. • Disconnect all power before installing or working with this equipment. • Verify all connections and replace all covers before turning on power. Failure to follow these instructions can result in serious injury or death. 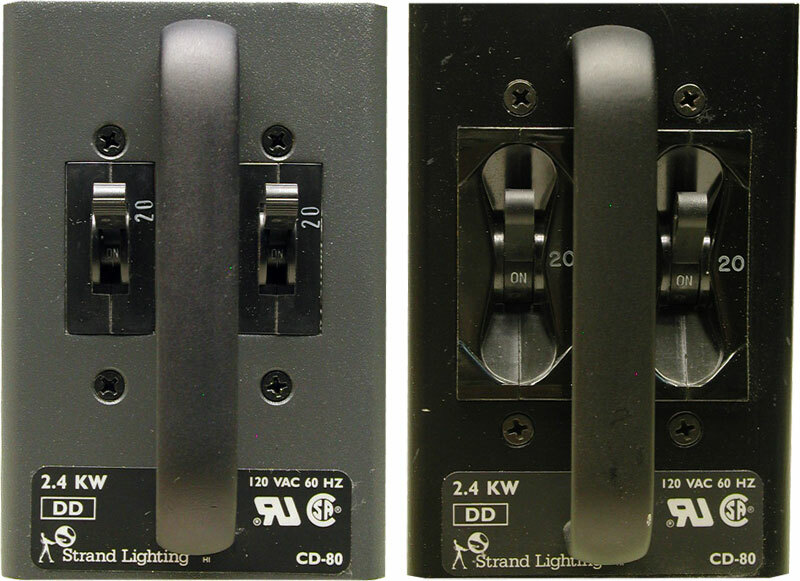 CD-D2.4KW Strand CD80® Series dual 2.4KW dimmer modules (2 x 2,400W). CD-S6.0KW Strand CD80® Series single 6.0KW dimmer modules (1 x 6,000W). 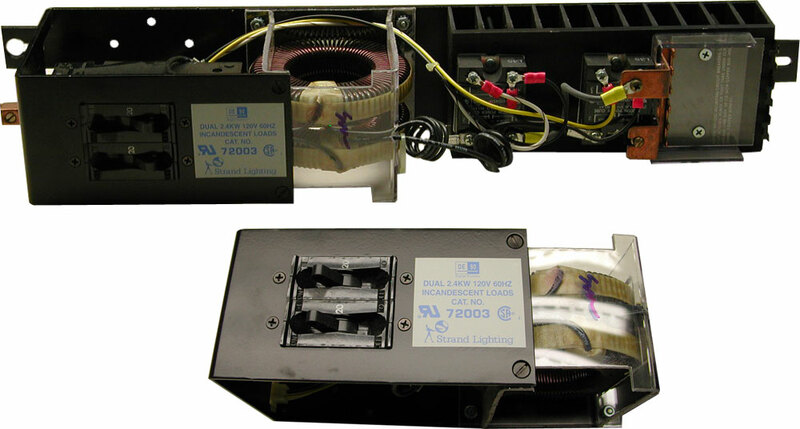 SV-D2.4KW Strand CD80® Supervisor Series Dual Dimmer Module (2 x 2,400W). c/w new FC-330 firing card. c/w new FC-330 firing card and four EC GEN2 PACKS. 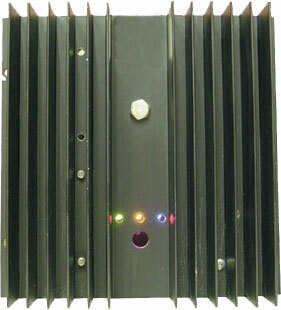 MX-D2.4KW EDI MX Series Dual 2.4KW Dimmer Module. c/w new FC-445 digital firing card. 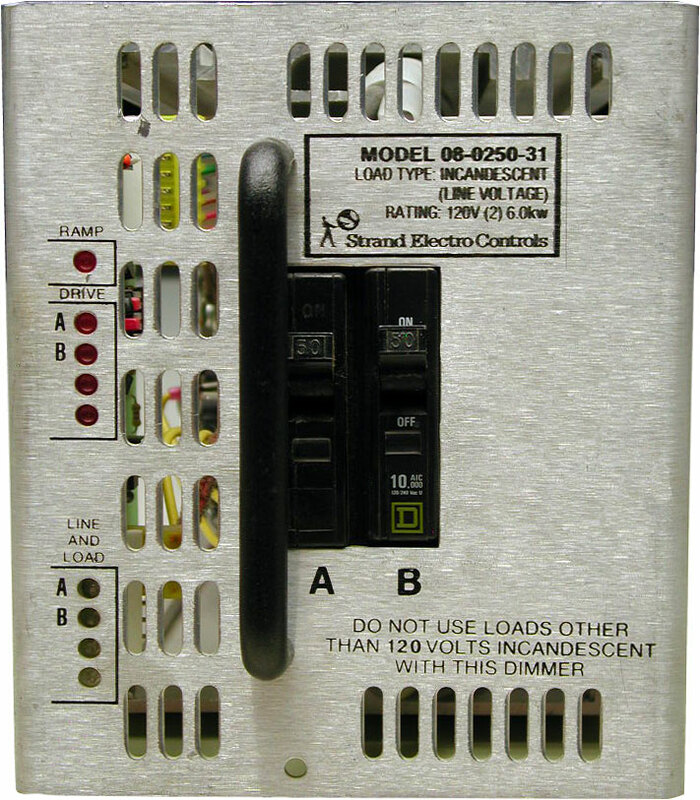 EN-D2.4KW Strand Environ 2 Series Dual Dimmer Module (2 x 2,400W). 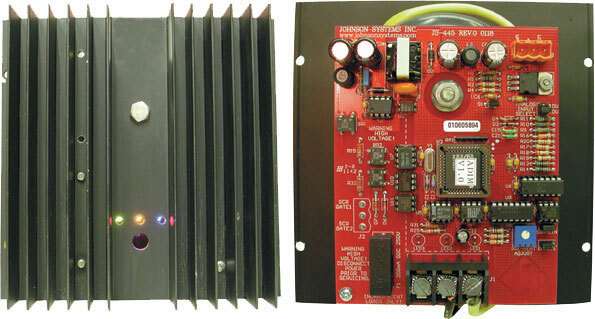 DE-D2.4KW Strand Digital Environ Series Dual Dimmer Module (2 x 2,400W). 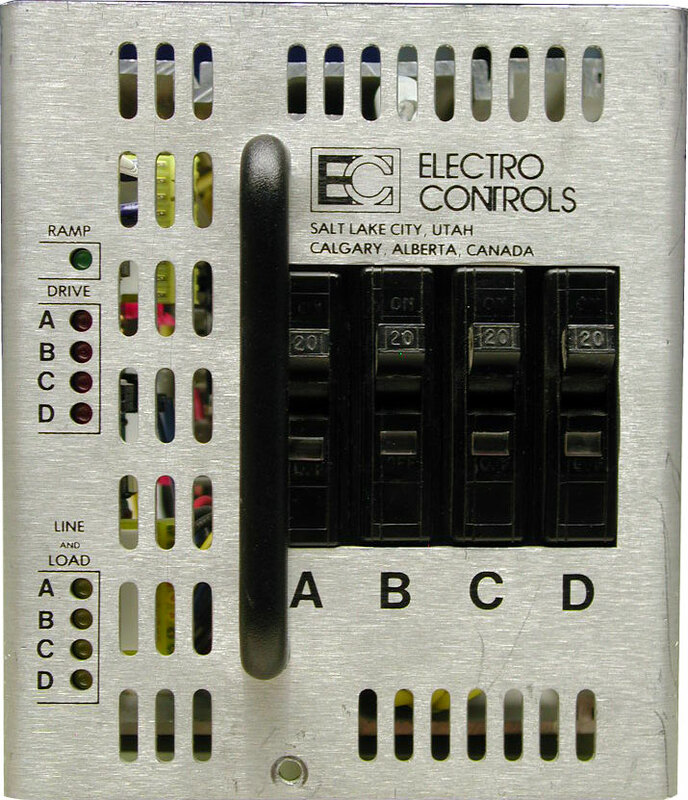 KD-Q1.0KW Kliegl K-96 Series Quad Dimmer Module (4 x 1,000W). 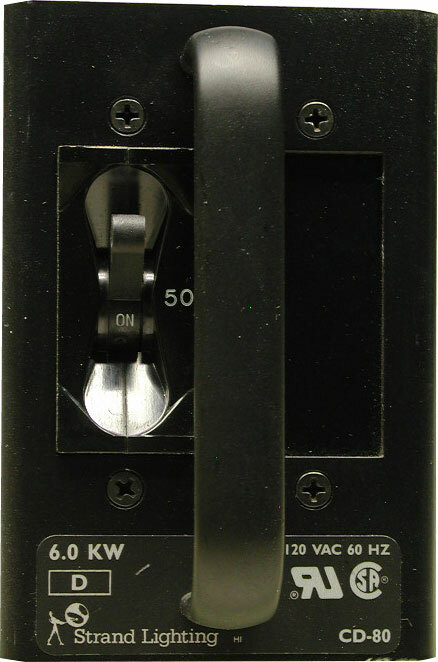 KD-D2.4KW Kliegl K-96 Series Dual Dimmer Module (2 x 2,400W). 1. 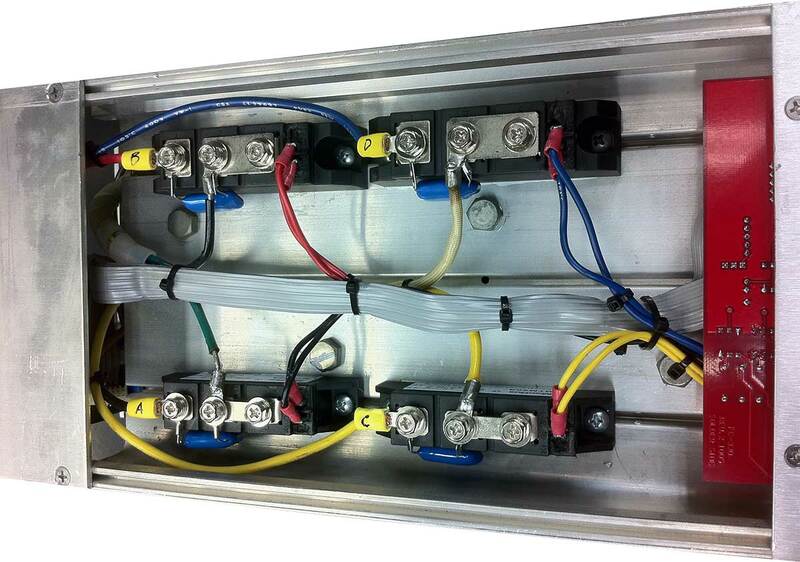 All dimmer modules are refurbished and contain new PCB's where applicable. 2. 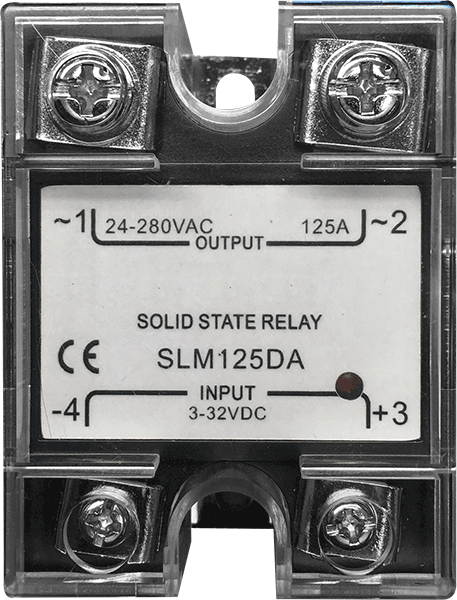 Dimmer modules are subject to availabilty. 3. All parts as shown on this page are non-returnable. CF-DE90 Strand DE90 (Digital Environ) Architectural Rack. CF-MX EDI / Cooper MX Series Rack. 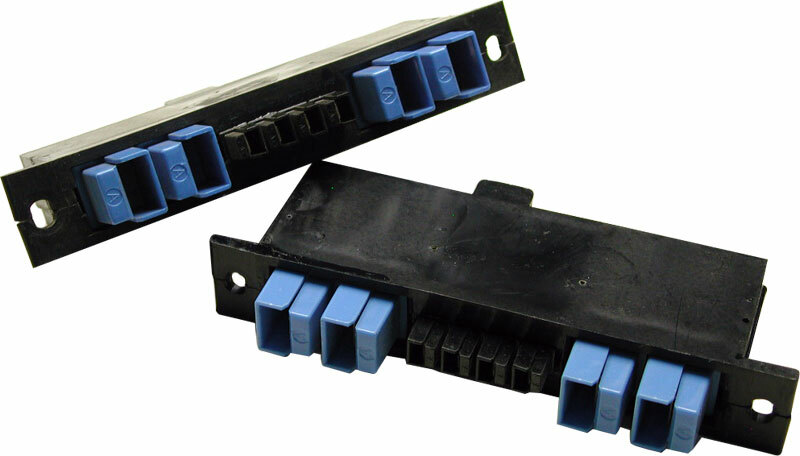 CF-MXS Set of four (4) small Cooling Fans for MX Series Dimmer Racks.